Delta Membrane Systems provide the worlds foremost range of products for basement drainage, structural waterproofing and underground wall and floor protection. O'Malley Property is an independent estate and letting agent from Scotland, priding ourselves on our fresh approach to the property industry. We're free from the constraints of the corporate agencies, allowing us to offer a tailored and proactive service. Our employees have a passion for property, for us it's more than just a job. Working from dawn till dusk, we're available from 9am to 9pm, seven days a week, for viewings and enquiries. Our tenants have the peace of mind knowing that 24 hour assistance is only a phone call away. Our landlords know that we're working seven days a week to protect their investments. It's our approach. Abbey Forth Property Management Limited is a privately owned property management company specialising in the sale, letting and factoring of residential properties and developments. Built on our years of experience working in the residential property market we aim to provide a level of service that home owners, tenants, landlords and residents associations can have faith in. with 30 years experience in property sales and letting, Clyde Property understand that when you are buying, selling, renting or letting, the journey you are embarking on is much more than a financial transaction. Maybe you are buying the family home of your dreams, dipping your toe into the landlord pool or selling a home you’ve lived in and loved. 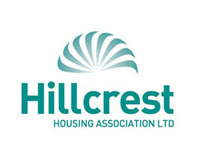 The purpose of the Hillcrest group of companies is to be more than a traditional housing association by providing a range of housing, care and wider role services. The Fair City Chapter of BNI is based in Perth where local businesses meet to assist each other with the exchange of ideas, provide support and swap quality business referrals. For more details of how BNI works please look at the About BNI page of this site. At Simple Approach we strive to make the process of selling your property a doddle – and without the hefty price tag! Our personal service sets us apart from the High Street estate agents. All viewings of your property are accompanied by us so you don’t need to worry about showing people around – and at no extra cost! Fife Properties are an award winning estate & letting agent covering Dunfermline, Glenrothes, Kirkcaldy, Leven, Cupar, St Andrews and the East Neuk established over 40 years with a local team who are passionate and enthusiastic about their service. We love to exceed your expectations by delivering exceptional results. Caledonia Housing Association formed in 2011 following the merger of Servite Housing Association and Perthshire Housing Associations. Building on the achievements and strong reputations of Servite and Perthshire, Caledonia is working to position itself as the major new force in housing in North East Scotland. We are a registered Scottish Charity, and our main aim is to provide high quality housing that is both affordable and sustainable, and a variety of specialist and person centered services. We operate throughout Dundee, Angus, Perthshire and Fife, and in the Highland Council area. Shepherd Chartered Surveyors is a national surveying business providing its clients with decades of experience and expertise, together with national resources and comprehensive local market knowledge. At Slater Hogg & Howison, we have been helping people buy and sell property for over 35 years, and we are experts in the Scottish property market. We are a long established firm of solicitors and estate agents with offices in Perth and Auchterarder, Scotland. One of Perth’s longest established legal Firms, Wyllie & Henderson was founded in 1903 and since then has offered a comprehensive range of legal and property services in Perth and further afield. As one of the most respected Chartered Surveying Practices, Graham & Sibbald provide sound property advice, based on the unique combination of local knowledge with the specialist support and a national network of offices in Scotland and England, together with accurate and comprehensive property valuations that you can trust, across all sectors and in all areas. Based in Perth and Pitlochry, the firm has been meeting the needs of its clients since the 1880s. Our clients include individuals, Perth Courthousepartnerships, and limited companies. We act for many local (and some not so local) businesses and we have extensive experience in many areas of legal services. Savills plc is a global real estate services provider listed on the London Stock Exchange. We have an international network of more than 200 offices and associates throughout the Americas, the UK, continental Europe, Asia Pacific, Africa and the Middle East, offering a broad range of specialist advisory, management and transactional services to clients all over the world. Irving Geddes W.S. is a leading firm of solicitors and estate agents based in Perthshire specialising in private client and property work. Solicitors, Estate Agents and Independent Financial Advisors, based in Pitlochry and Aberfeldy, in the Highlands of Scotland. The Chamber Practice are a Firm of Estate Agents and Solicitors based in Dundee. Our property team handles all aspects of house purchase and sale, estate agency, remortgages, interfamily and other transfers. We also deal with Wills and Executry work. We are Scotland's leading Solicitor Estate Agents, with the country's largest office network and some of Scotland's most experienced property solicitors. As one of Scotland's largest law firms with 27 partners and over 270 staff, Thorntons provide expert advice on a comprehensive range of services. Anderson Beaton Lamond, Solicitors, in Perth, seeks to deliver a quality, personal and professional service to all of its clients. Bidwells is the UK's leading regional property consultancy. The Firm provides a full range of services across the Commercial, Residential and Rural sectors, combining a deep understanding of the strategic objectives of clients with the resources to deliver them. The Firm's success is built around a business culture where clients' interests come first. Our team deal with all aspects of residential property work covering sales, purchases, re-mortgaging and transfers of title. We also provide support to our Estate Agency, Private Client and Court departments as we seek to offer a comprehensive, thorough and professional approach to our clients’ requirements. We have a friendly team dedicated to making the seemingly problematic and complicated as straightforward and stress free as possible for clients. Meldrum Construction (Perth) Ltd are a long established construction company with our head office and workshops based in Inveralmond, Perth. Our company have a main contract division offering an all trades service for projects ranging from new build, extensions, alterations and refurbishments in both the domestic and commercial sectors and have successfully provided this to private house owners, businesses, Housing Associations and Local Authorities. McLeod the Glaziers (Perth) Ltd has been serving the local community for over one hundred years, established in 1836, the company is family owned and run from its head office on the Inveralmond Industrial Estate. AGB are an experienced building and civil engineering contractor. Based in Perth we are renowned locally for high quality workmanship and excellent customer service. The Bathroom Company based in Perth, at the heart of Scotland; designs and installs quality bathrooms. LW Haddow Plumbing & Heating is a family owned business, based in Perth, Scotland. We were formed in 1982, and have provided a service across Scotland for the last 30 years. We work for both domestic and commercial customers, providing a personal service, tailored specifically for their needs. The Morris Leslie Group own a total of 100 residential properties, located throughout Perthshire, which are leased out. Residential properties vary in size from one bedroomed cottages to 4 bedroomed houses. We really have something for everyone! David Beveridge Ltd is an old established building company based in Perth, Scotland committed to delivering quality service in the building Industry. 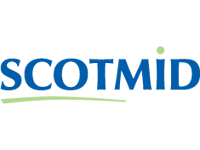 The Scottish Midland Co-operative Society Limited, trading as Scotmid Co-operative, is an independent retail consumers' co-operative which originated in the Scottish Midlands, particularly Edinburgh and the Lothians. Robertson is a privately owned group of companies working in infrastructure, support services and construction throughout the UK. These include a timber frame manufacturing business, a facilities management company, a capital projects business dedicated to PFI and PPP investments, four regionally-based construction companies, a property and the house-builder Robertson Homes. Robertson are dedicated to quality, creating value and operating in a safe environment for the clients they work for. Clients that include; public sector, local authorities, Ministry of Defence, NHS, Tesco, ASDA, M&S, Scottish Natural Heritage, Travelodge and Highlands and Islands Enterprise. Aurora Hotel Collection, a small, but growing portfolio, of luxury hotels and lodges in Central Scotland. The current estate includes Airth Castle Hotel, near Falkirk, Stirlingshire; Glenbervie & the Coach House, near Larbert; Solsgirth House, by Dollar; the Kenmore Hotel & Lodges, a traditional hotel and luxury lodges nestled on the banks of the River Tay; & the Cairn Lodge & Hotel, a 5-star boutique hotel and luxury lodge house, in Auchterarder. DM Hall is an industry recognised firm of Chartered Surveyors with a large network of offices across Scotland.The firm has over 120 fully qualified surveyors, specialising in the full spectrum of residential and commercial services. Our ability to provide a high quality range of property services both residentially and commercially is unrivalled. Established in 1854, Ross and Liddell began managing property in one of Victorian Britain's largest cities. Today, our offices are situated in the heart of developments that symbolise the Glasgow of the future. The Church of Scotland is one of the largest organisations in the country. Within the organisation, we have around 1200 ministers serving in parishes and chaplainces, supported by more than 2,000 professional and administrative staff. Most of our parishes are in Scotland, but there are also churches in England, Europe and overseas.